Asher Lasting Exteriors, a family-owned exterior remodeling business based in Eau Claire, has been providing top-quality products and workmanship to customers in west-central and northwest Wisconsin. Currently celebrating 43 years in the exterior construction industry, Asher has completed thousands of projects over the past four decades. 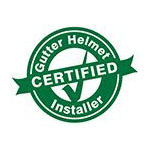 In addition to offering Gutter Protection through our Gutter Helmet franchise, we are experts in the installation and servicing of siding, windows, gutters, retractable awnings and other exterior-related products. As a testament of our dedication to quality, Asher has consistently received high rankings from a number of national ranking entities, including: Remodeling 550 – The Nationals List, Exterior 200 – National Qualified Remodelers Magazine, and Top 500 Remodelers. 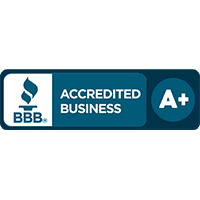 In addition, Asher currently maintains an overall “A” Rating on Angie’s List and the Better Business Bureau. Asher Lasting Exteriors was founded on the principles of customer satisfaction, quality craftsmanship, cutting edge innovation, and a commitment to building techniques and construction materials that promote environmental sustainability. We constantly monitor materials cost and averages for our geographic region. 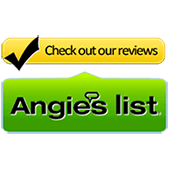 We don’t just go after sales figures; we also value our customer’s satisfaction. Our aim is to be consistently above industry standards and focus on providing good customer service as opposed to lower-bid work. Our ability to add design services gives us a much more accurate pricing picture for each project. In addition, our crew of highly trained foremen average nearly 35 years of experience in the construction industry, making sure that our services are always at a world-class level of quality.